Fancy a mouthwatering chicken burger? Chicken pitta? Or some spicy, marinated chicken breast? Whatever it is, take a look at our latest Nando’s student discount codes to get a cheaper deal on your next meal. Originating all the way from South Africa in 1987, Nando’s is internationally famous for their Portuguese chicken dishes and their legendary peri-peri combinations. But it’s not all just chicken! This casual dining chain also serves speciality beef dishes and vegetarian options too. So, whether it's a cheeky lunch with uni friends, a sentimental meal with the family or a romantic dinner with a special someone, pop into the nearest Nando's for your daily dose of flavoursome food! Here is the place where you and your friends can get the best Nando’s student deals and vouchers currently available. 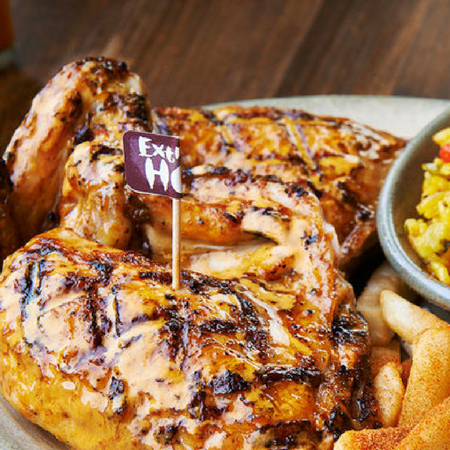 Sign up now to get FREE instant access to the best Nando’s student offers. Exclusively for students, apprentices and people aged 16-26.